LONDON (AP) — A minister in the British government stepped down Friday to protest Prime Minister Theresa May’s Brexit plan and is backing calls for a second referendum on whether the country should leave the European Union. 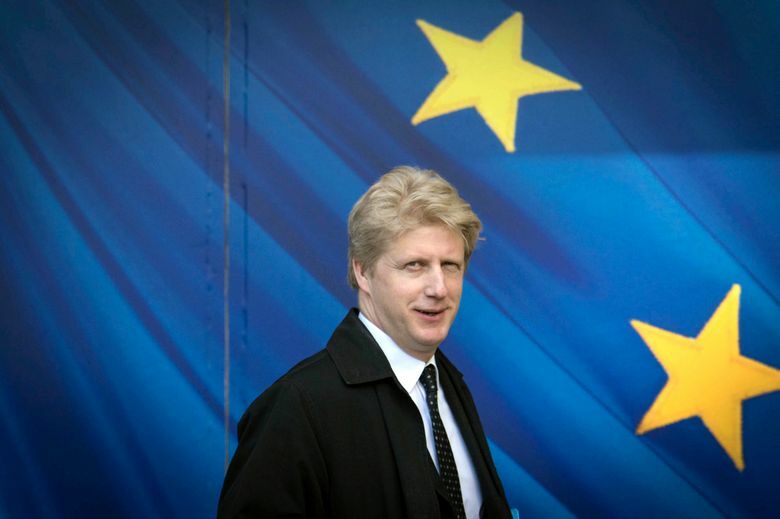 Jo Johnson, younger brother of former Foreign Secretary Boris Johnson, said the withdrawal agreement being discussed by EU and British leaders would greatly weaken Britain and require the country to follow EU rules without having any say. The only alternative on the table, he said, is a no-deal Brexit that would “inflict untold damage” on Britain. “It has become increasingly clear to me that the withdrawal agreement, which is being finalized in Brussels and Whitehall even as I write, will be a terrible mistake,” said Jo Johnson, who was a transport minister in the government. To give the public a choice between these two disastrous versions of Brexit would be a “failure of British statecraft on a scale unseen since the Suez crisis,” he said, referencing the 1956 conflict against Egyptian President Gamal Abdel Nasser that is widely seen as marking the moment at which Britain formally lost its imperial role in the world. “Given that the reality of Brexit has turned out to be so far from what was once promised, the democratic thing to do is to give the public the final say,” Jo Johnson said. His older brother Boris resigned in July to protest May’s Brexit plan — but Boris did so as a staunch support of a hard-line Brexit, while Jo Johnson backed the “remain” side during the June, 2016 referendum. In a tweet, Boris Johnson said he had “boundless admiration” for his brother and that they are “united in dismay” at the indefensibility of May’s position even though they disagree over Brexit. Jo Johnson’s resignation, and his call for a fresh referendum to test voter sentiment, further complicates matters for May as she tries to strike a deal with EU leaders that would pass muster with her own cabinet and win backing in Parliament. May is also facing more opposition from the Democratic Unionist Party, a party in Northern Ireland whose lawmakers have propped up May’s minority government. Its leaders say May’s government is breaking promises related to the Irish border.